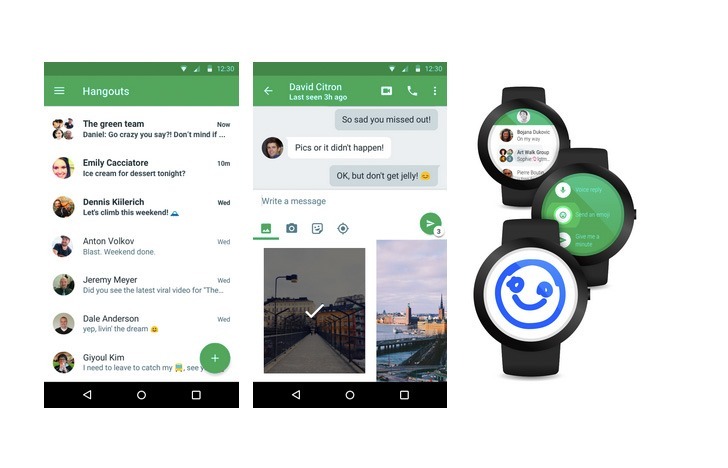 We've seen Hangouts 4.0 for Android before (and also on Android Wear), but that was two months ago. Suffice it to say, then, that Hangouts 4 hype has been building up tremendous pressure since, and now Google is finally delivering. Hangouts 4.0 will be available on the Play Store starting today, and of course, almost certainly will roll out in stages. There are also a couple more features - outbound caller ID (so you won't show up as "unknown" when you make a Hangouts call) and receive and reply to group MMS in Hangouts when using Google Voice. Custom status messages, as we rumored, are here, too, and the aforementioned support for Android Wear is obviously in tow as well. We'll let you know when we've got an APK.